Walk It Off: Weeks 9 & 10! Hope everyone is having an amazing week! We only have two weeks left in our challenge, and I wanted to update everyone on who our top Walk-It-Off competitors are! Vanessa Ware 115 Points!!! Vanessa took advantage of earning extra points by earning a point a mile for the last two weeks! She walked 25 miles!!!! WAY TO GO!!!! Posted on July 26, 2016 July 26, 2016 Categories "Walk It Off" Challenge, Reborn Blog!3 Comments on Walk It Off: Weeks 9 & 10! Walk It Off: Week 8! THE BIG BONUS CHALLENGE! We are 4 weeks away from our final weigh-in! Can you believe it? For those of you who started this challenge with the best of intentions, but felt like you’ve lost steam, I want to encourage you to try to give a big push in the next 4 weeks! 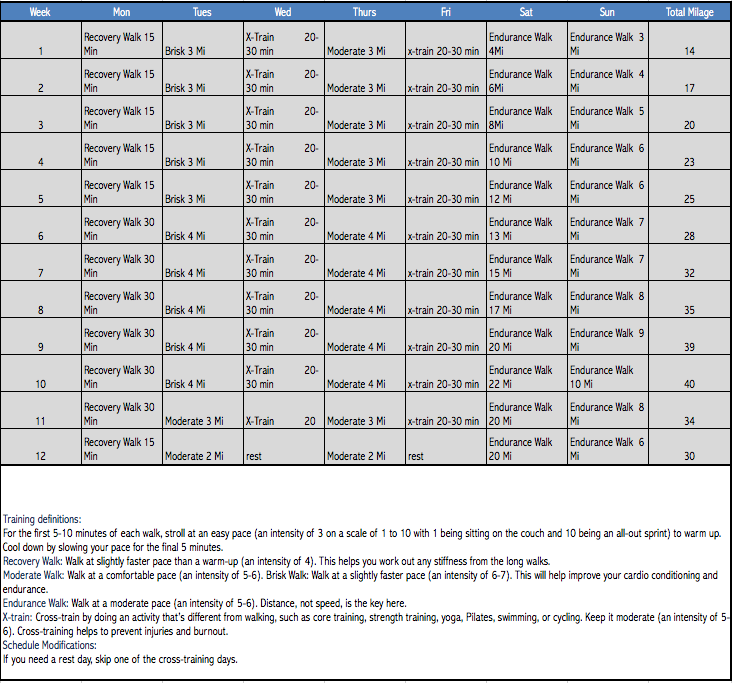 4 weeks is plenty of time to log miles, lose inches, and feel healthy! In the spirit of getting people back on track, today we are announcing another bonus challenge, but this one is going to be challenging…and a little more complicated! Participants will be awarded 1 extra point for every mile they walk between July 11th and July 25th! Miles must be logged on a fit bit, treadmill counter, or other milage-counting app. We will verify these miles via pictures! So grab those screenshots, snap those odometers, and upload that fitbit! Again, if you feel like you’ve fallen behind, this is YOUR CHANCE to pull ahead! Think about it: 5 miles a-day, 5 days a-week? That’s 50 points! Let’s do this, Team Reborn!!!! Posted on July 11, 2016 July 11, 2016 Categories "Walk It Off" Challenge, Reborn Blog!12,413 Comments on Walk It Off: Week 8! THE BIG BONUS CHALLENGE! Walk It Off: Week 7! Sticking to your health goals over a holiday weekend is TOUGH! Considering that being the case, let’s give an extra shout-out to our participants who managed to keep up the good work in the midst of hamburgers, hotdogs, and soda! Way to go Team! Posted on July 11, 2016 Categories "Walk It Off" Challenge, Reborn Blog!Leave a comment on Walk It Off: Week 7! Walk It Off: Week 6!?!?! Wow! Somehow we have made it all the way to week six in our Walk It Off Challenge! So exciting. We have a handful of very active core- contributors and it’s been amazing to see their progress! Since the scores are getting so close it looks like we are going to have to get more creative with these challenges! Posted on June 28, 2016 June 28, 2016 Categories "Walk It Off" Challenge, 2016 Reborn ReporterLeave a comment on Walk It Off: Week 6!?!?! Walk It Off: Week 5! The Walk It Off Challenge is still going strong! Big thanks to everyone who is still “in it to win it!” You are all doing an amazing job! If you are following our schedule, you halved waked an amazing 99 miles! You can STILL earn points with our buddy challenge (see last week’s post) and there is still time to catch up of you haven’t gotten into the challenge! If you are feeling behind, take a look at this article that talks about the AMAZING benefits that only 30 minutes of walking can do for your body! Posted on June 21, 2016 Categories "Walk It Off" Challenge, 2016 Reborn Reporter4 Comments on Walk It Off: Week 5! Walk It Off: Week 4! We are wrapping up week four, and honestly I am not sure how that is possible. We are 1/3rd away through our challenge! Here are Reborn’s top 3 competitors! So exciting! I have had a few really great conversations about how people are progressing in this initiative, and it’s brought so much joy to my heart! I get the pleasure of interacting with a lot of you personally. Whether it’s through ReviewBuzz, events, or even in sales meetings, I am blessed to be able to hop in my car at the end of the day and spend my commute home thinking about all the great conversations I have every day. THIS leads me to our next Walk It Off bonus challenge…and this one isn’t going to be JUST a photo challenge! I’m calling this the “Reborn Buddy Challenge!” In addition to your regular submissions, and for TEN extra points, I am asking everyone in this challenge to find a Reborn Buddy and do something healthy together! Workout, play a game of basketball, or simply take your lunch break to go on a walk together! Have fun with it, and be sure to snap a picture! That’s your proof!!! Keep walkin’ it off, Team Reborn! Posted on June 13, 2016 June 13, 2016 Categories "Walk It Off" Challenge, Reborn Blog!, Uncategorized19 Comments on Walk It Off: Week 4! Walk it Off: Week 3! I am so sorry that this post is late! It’s been a crazy week! Can you believe that we are 3 weeks in already? NUTS! It’s really exciting to see all the submissions coming in! Next week I’ll be sharing everyone’s standings AND another bonus challenge! Posted on June 8, 2016 June 8, 2016 Categories "Walk It Off" Challenge, Reborn Blog!, Uncategorized1 Comment on Walk it Off: Week 3! We had another great round of pictures come in! It’s really exciting to see people sticking to this idea–and SUPER fun to see some new faces in the Walk It Off inbox! Sticking to something is really hard to do, especially when it requires you to move outside of your own comfort zone. Personally, I don’t enjoy working out…but I LOVE the way I feel after I get up and do it. Which leads me to our very first Walk It Off BONUS challenge! In addition the regular weekly submission, participants can earn an EXTRA 5 points for sending in a picture of something that symbolizes, “What inspires you to walk off your habits.” Your kids? An old dress you want to fit into at the end of this? Maybe you are working up to a bigger challenge, like a marathon! There isn’t a “wrong” way to interpret this challenge, but please be sure to explain why the image you are sending in is significant to you. We are gonna share! Walk It Off: Week 1! I am very excited to publish our first week of “Walk It Off” pictures! Thank you to everyone who submitted! Everyone on this slideshow earned 10 points this week! If you are following our walking schedule, then you will have walked a total of 14 miles! Amazing! Here’s a neat little link where you can check out how many calories you burned “walking off” your old habits this week! Posted on May 23, 2016 Categories "Walk It Off" Challenge, Reborn Blog!, Uncategorized1 Comment on Walk It Off: Week 1! Reborn “Walk It Off” FAQ’s! It’s here! The Reborn “Walk It Off” Challenge has begun today with our first weight-in! We have gotten a lot of great questions since we announced this challenge, so before I collect an official list of people interested, here are a few last-minute details that might hook a few RBC people who are still on the fence about joining in! A: No, you don’t have to walk. While this is called the “Walk It Off” challenge, you can do whatever you want. Maybe you’re really into yoga but got out of the swing of things. Maybe you like running! Swimming? All of it works! The point is to stick to being active for 12 weeks in a row. You can do it! 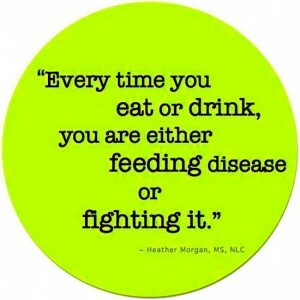 Q: Are you only calculating weight, or are you calculating BMI? Q: How exactly are the points being counted? 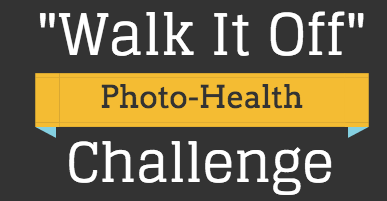 A: Each week, every participant has the opportunity to submit a photo that represents their “walk it off” journey. As long as the pictures are appropriate, any single photo will count. Maybe you are going to buy new shoes to get in shape! Maybe you are busting out your dirty weights from the garage…anything goes as long as it makes sense within the challenge. Every photo will count as 10 points. If you submit each week, you’ll collect 120 points. At the final weigh-in, we will also reward the person with the most dramatic weight/BMI change will get 100 points. This amount should be enough to send an active participant way ahead…but if you haven’t been sending in pictures it might not be! Q: Will there be bonus challenges? A: Yep! Bonus challenges will come in different forms! Meet-ups, photo challenges, and more! Q: Where are these pictures going? A: Every Friday the photos will be uploaded to the RBCEE site! That way we can all see what everyone is sending in! Q: Where do I send these pictures? A: We will provide an email address for all submissions! Deadline for every week will be Friday at noon! 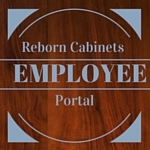 Email Caitlin at clemaire@reborncabinets.com with any other questions! Posted on May 13, 2016 May 16, 2016 Categories "Walk It Off" Challenge1 Comment on Reborn “Walk It Off” FAQ’s!